An old Alaska state ferry may have a second life as a floating hotel in Portland, Oregon, state officials said Tuesday. Bids for the M/V Taku were due Friday. Three companies put in bids, said Aurah Landau, spokesperson for the Department of Transportation and Public Facilities. Portland-based company KeyMar LLC emerged with a winning $300,000 bid. 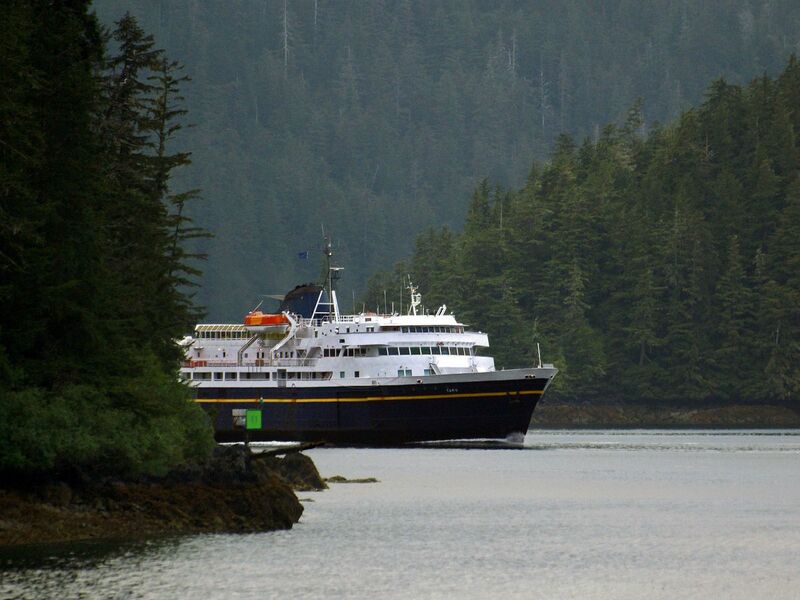 The company "intends to renovate and use the M/V Taku as a floating hotel in Portland," DOT said. But the 352-foot ship designed to carry 350 passengers was deemed too costly to maintain and exceeded the needs of the ferry system, DOT said. The vessel was taken out of service in June 2015 and remains at a mooring facility in Ketchikan. With some interest but no bidders, the state reduced the price several times over the summer. Roughly $500,000 worth of goods — like Alaska paintings and fire and rescue equipment — was salvaged from the ship to be used on other vessels, Landau said. The other two bidders, each bidding around $50,000, would have scrapped the ship, Landau said. "It's nice to see it … have the possibility of a new life," Landau said. Landau said the state has approved the transport plan but said she can't release details until the sale is finalized, likely in October.